Privacy—I probably need convince no one—looms large in the United States today, sparked by concerns about NSA spying as well as social media profiling, facial recognition software as well as genetic testing. It is the vocabulary Americans reach for to mark the boundary between themselves and the society at large: the government, of course, but also corporations, researchers, marketers, employers, schools, and neighbors. Indeed, for something we think of as by definition cordoned off from public life, privacy courses through U.S. political culture. 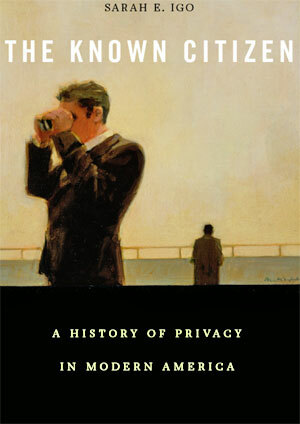 My book charts how and why privacy became a fixture—even fixation—of the U.S. public sphere in the twentieth century. The growth of the central state and social institutions is part of the answer, along with the creation of ever-more sophisticated technologies of surveillance. But the larger story I tell is the emergence of a “knowing society,” one that sought to understand, govern, and minister to its members by scrutinizing them in fuller and finer detail—often with the support and cooperation of those same citizens. By pursuing the problem of how Americans would, and should, be known by their own society, I hope to offer a new angle on the contentious career of privacy in modern life. A knowing society, after all, carried rewards as well as risks. 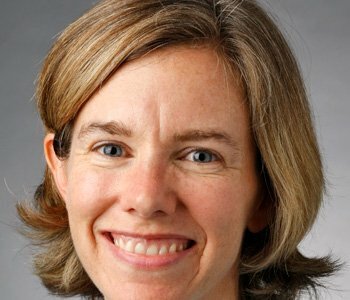 New techniques for rendering individuals legible, from credit reports and CCTV cameras to psychological testing, promised opportunity and security, even self-understanding. But being known too well—through the monitoring of one’s sexual or consumption habits, for instance—could threaten personal autonomy. This was a delicate calibration. To remain unrecognizable to society’s authorities was in some contexts a sign of privilege. In others, it was a form of disempowerment, with recognition basic to enacting one’s membership in society. Being traceable in a national criminal or DNA database was a different matter than being identifiable to a benefits-granting program like Social Security. In this way, the question of whether one could be known accurately and authentically—and on one’s own terms—animated privacy’s prominence in American public life. I track American debates over the known citizen, from the era of “instantaneous photography” in the late nineteenth century to our own age of big data. Across the last century and a half, tabloid journalism and new technologies, welfare bureaucracies and police tactics, market research and personality testing, scientific inquiry and computer data banks, tell-all memoirs and social media all posed profound questions about how to fix the line between the modern person and the collectivities to which she or he belonged. These practices could not help but alter Americans’ ideas about privacy. In entertaining new understandings of what could be asked and what could be said, what could be exposed and what should be disclosed, citizens shifted the contents of “public” and “private.” By the twenty-first century, I contend, they had fundamentally redrawn the borders separating the private from the public self (for the whole story, you have to read the book).